Boutique Style Hotel in La Ventana Featuring 8 Rooms in a Prime Beach Front setting. Palapa Roof Top Restaurant with a commanding view of the entire bay and Isla Cerralvo. All rooms face the Ocean! 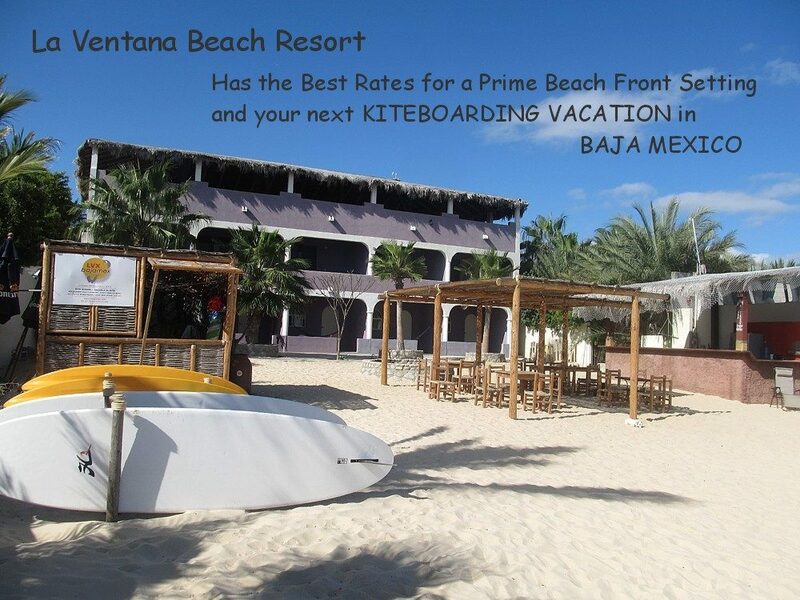 Prime Kiteboarding Launch only a few steps from your accommodations! Why waste time on your vacation getting to the beach when you can stay right on it!! Kiteboarding Paridise. Kiteschool on Location!